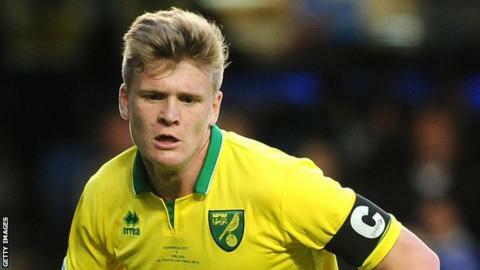 Luton Town's on-loan midfielder Cameron McGeehan headed a late winner to secure the leaders all three points against relegation-threatened Aldershot Town. The Hatters went close in the first half when Andre Gray connected with Ronnie Henry's low cross, but Shots goalkeeper Glenn Morris saved smartly. Morris then blocked a flicked effort from Gray, but could not stop McGeehan from converting Jake Howells' cross. Luton's Mark Tyler saved from defender Fraser Franks's clearance late on. The result, in front of Luton's highest gate of the season at 8,558, means the home side remain 13 points clear at the top of the Conference Premier and look set to return to the Football League for the first time in four years ahead of second-placed Cambridge United. The Hatters will secure promotion if they beat Tamworth on Tuesday and Cambridge lose against Woking on Thursday. The Shots, meanwhile, remain mired in the relegation zone, a point adrift of Hereford in 20th place. "The most important thing to do is win, and at the moment we're winning. "First half I thought we were very good. Second half, I thought we were edgy and nervy, but we found a way, scored a goal, and got the points. "All those teams at the bottom of the league have so much to play for. They come here and it's going to be tough. We have to make sure that we come out on top, and we did. "I think we've created this new Luton. We're all together. And if we do that, we're stronger for it." "I think we deserved a point without a doubt. Mark Tyler made a great save to give them a clean sheet. "The mark of the performance was the standing ovation from the Luton fans and that shows the effort the lads put in. We did give them problems. "We couldn't get that real opportunity to score but we did show composure on the ball. "No one gave us a chance today and we take the positives from the performance." Match ends, Luton Town 1, Aldershot Town 0. Second Half ends, Luton Town 1, Aldershot Town 0. Substitution, Aldershot Town. Harry Cornick replaces Martin Rowlands. Dan Butler (Aldershot Town) is shown the yellow card for a bad foul. Foul by Dan Butler (Aldershot Town). Matt Robinson (Luton Town) wins a free kick. Goal! Luton Town 1, Aldershot Town 0. Cameron McGeehan (Luton Town) header from the left side of the box to the top left corner. Assisted by Jake Howells with a cross. Substitution, Luton Town. Jake Howells replaces Alex Lawless. Attempt missed. Jordan Roberts (Aldershot Town) left footed shot from the left side of the box misses to the left. Offside, Luton Town. Paul Benson tries a through ball, but Paul Benson is caught offside. Foul by Craig Stanley (Aldershot Town). Substitution, Luton Town. Mark Cullen replaces Luke Rooney. Attempt missed. Fraser Franks (Luton Town) header from the centre of the box misses to the left. Assisted by Luke Rooney. Substitution, Aldershot Town. Jordan Roberts replaces Mark Molesley because of an injury. Substitution, Luton Town. Matt Robinson replaces Pelly Ruddock. Hand ball by Luke Rooney (Luton Town). Attempt blocked. Andre Gray (Luton Town) right footed shot from the centre of the box is blocked. Attempt missed. Adam Mekki (Aldershot Town) right footed shot from outside the box is too high from a direct free kick. Adam Mekki (Aldershot Town) wins a free kick. Substitution, Aldershot Town. Bradley Bubb replaces Josh Scott because of an injury.